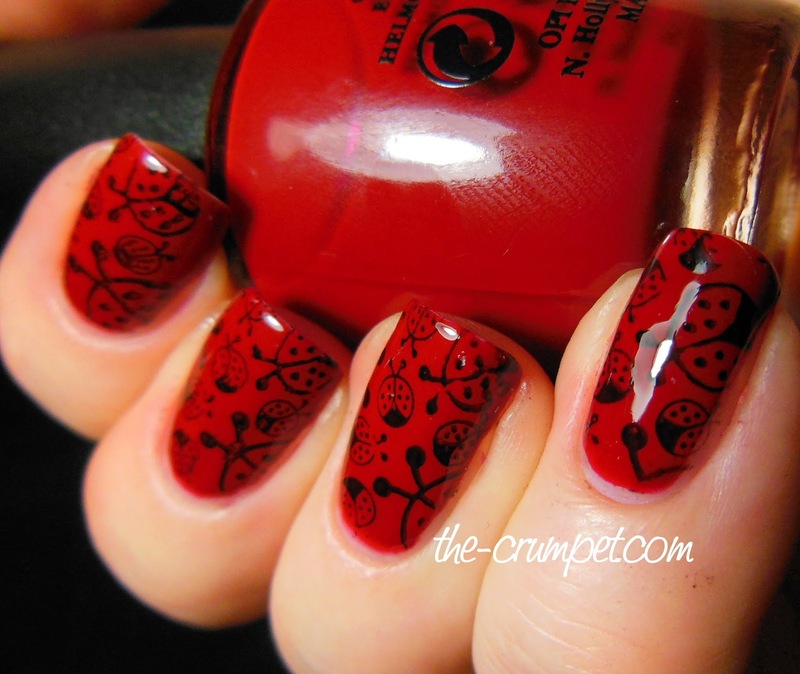 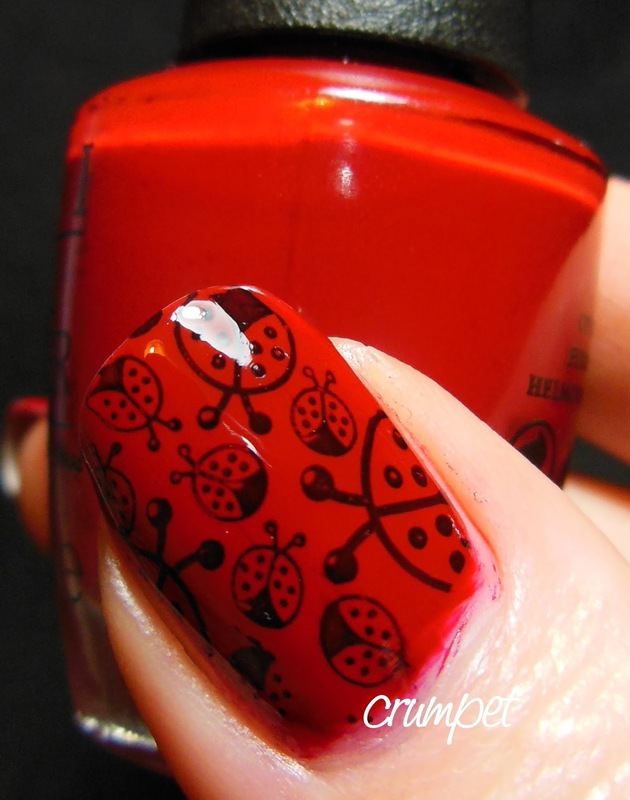 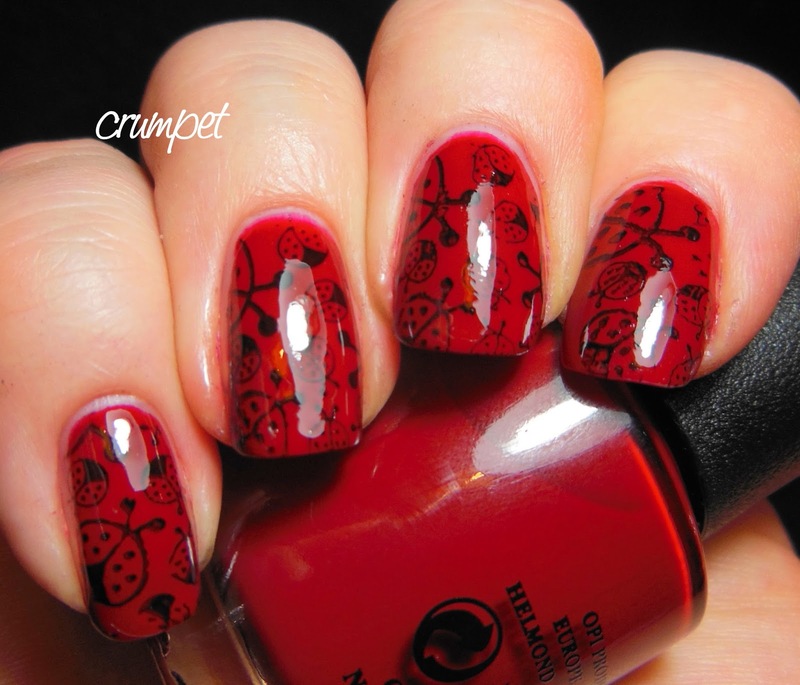 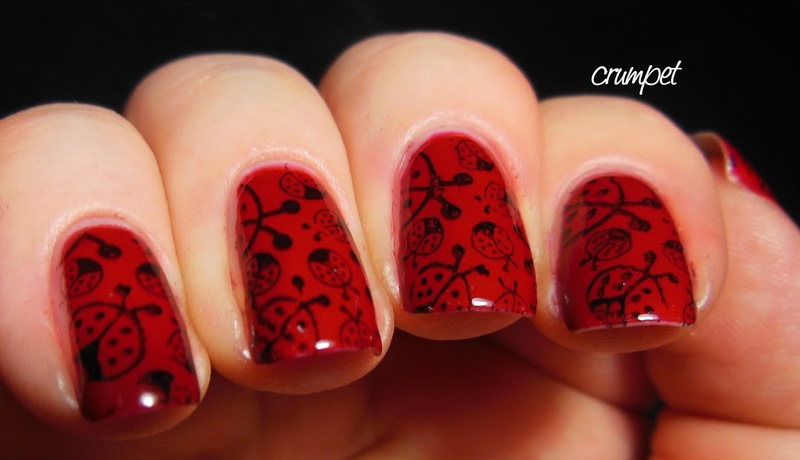 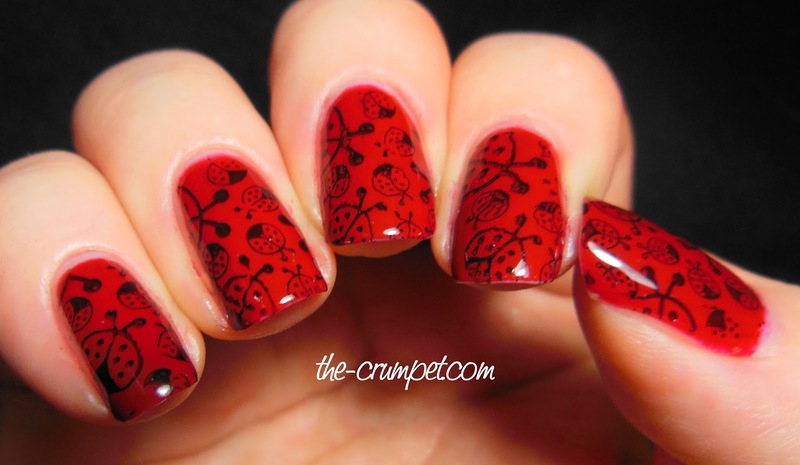 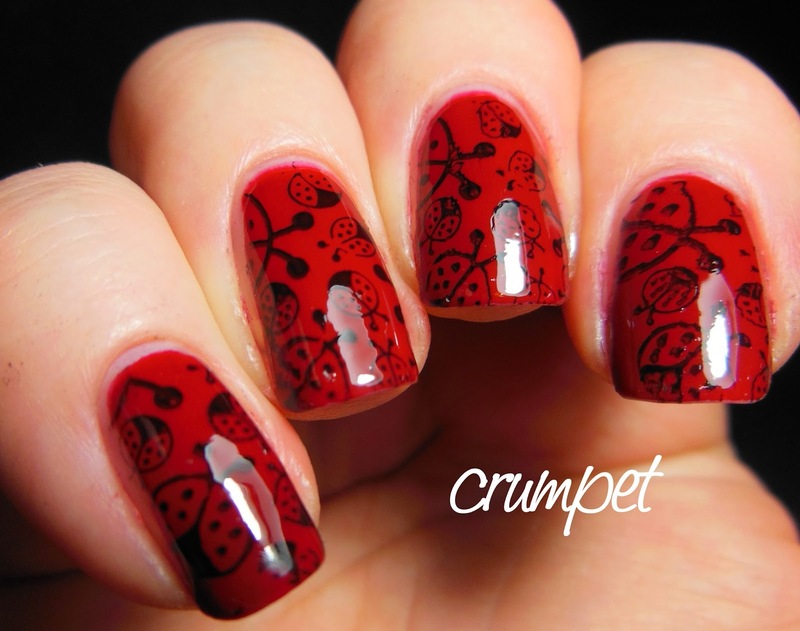 Today's post from The Vault is a sweet little stamping job featuring MoYou Princess 14. 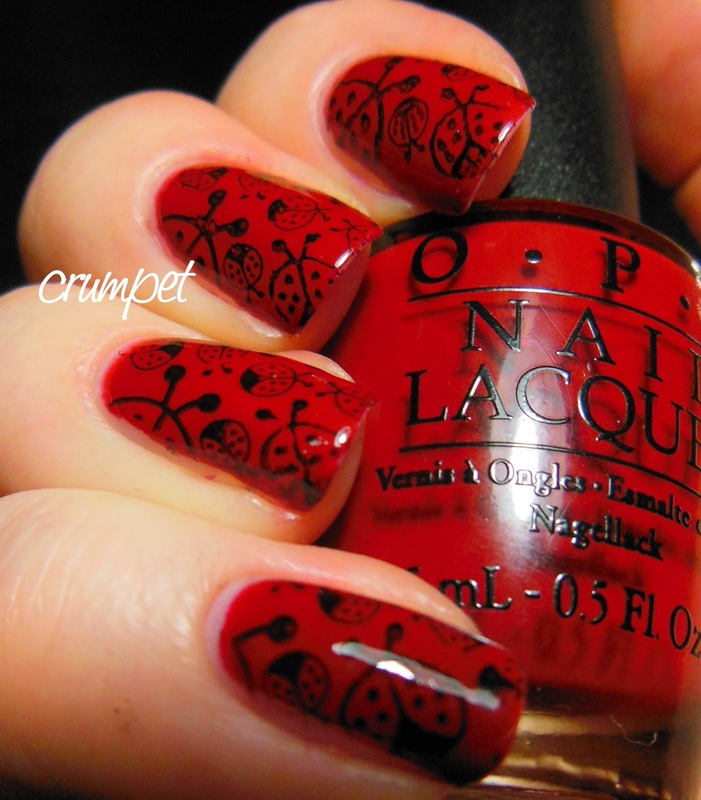 The base is OPI All I Want For Christmas Is OPI, a perfect bright red. 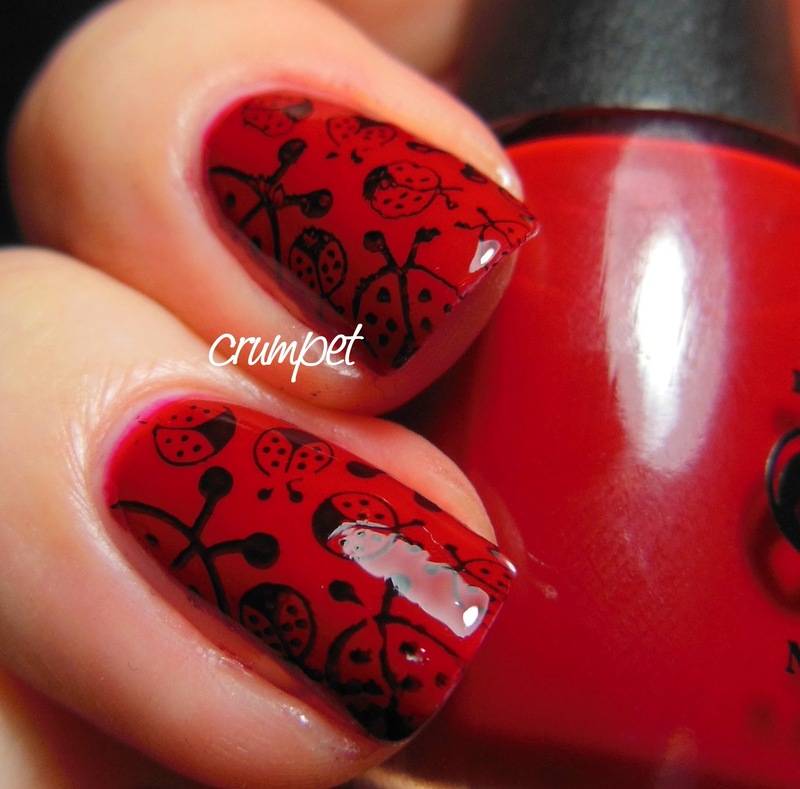 There is nothing much to say about this mani except that it's a great example of what you can do on Day 2. 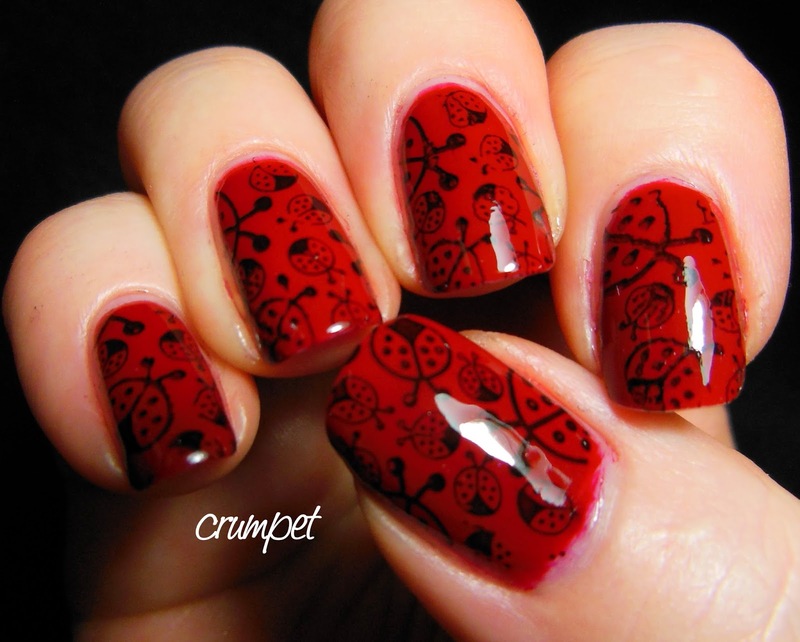 Where the polish plain on the first day, plonk a lovely stamp on it for Day 2 - simple!